Here at LL, we’re no strangers to yachts. 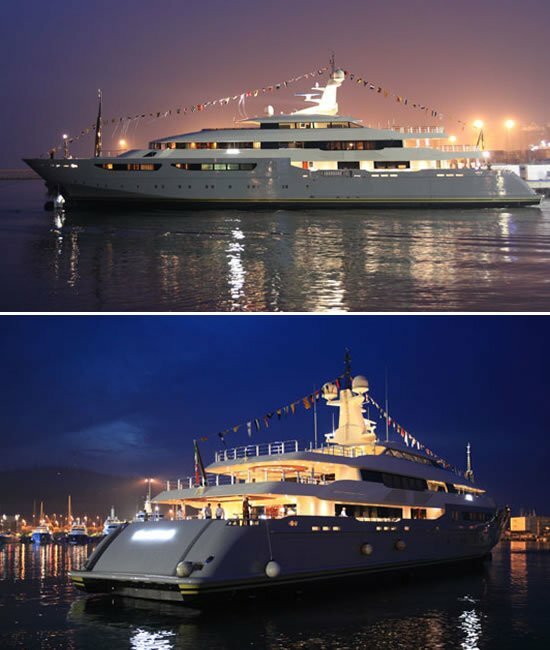 Superyachts, megayachts, luxury yachts, sporty yachts, you name it we’ve seen it. 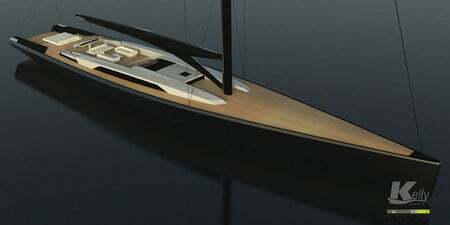 Or at least we thought we had until we saw the new “Nature” concept vessel from Netherlands based company Sinot. 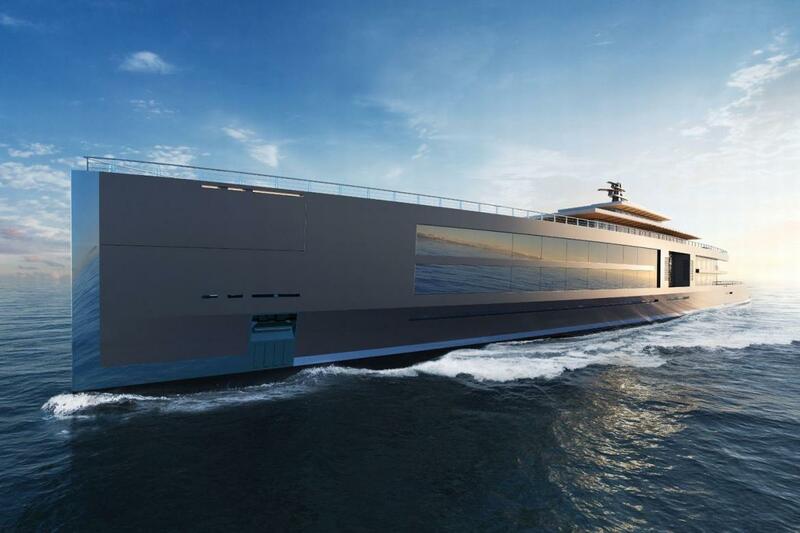 This 400ft behemoth is less of a yacht and more of a Hollywood style McMansion on water. 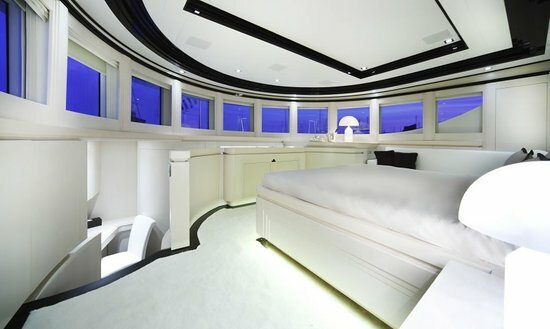 From a spa to gym to a swimming pool and an impressively designed interior; this yacht has it all. 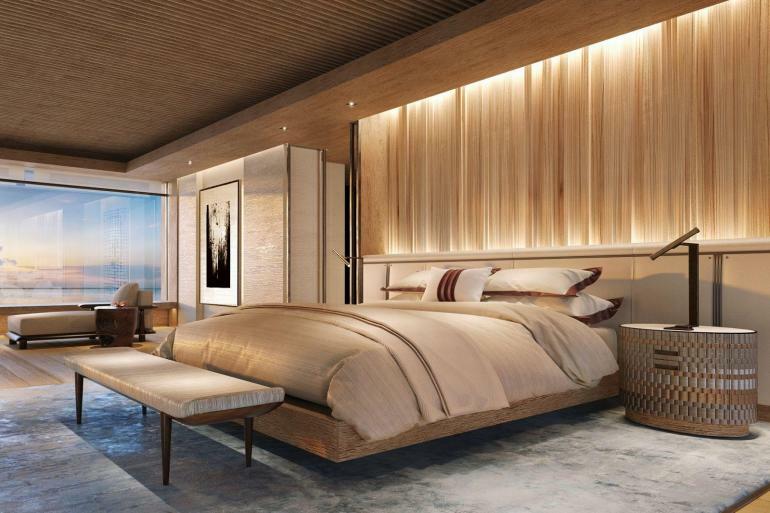 You’ll be forgiven for thinking that you’re in a five star hotel, because that’s exactly what the pictures look like. 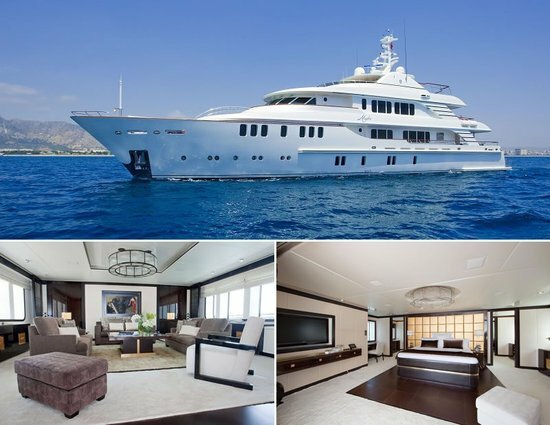 The yacht can accommodate 18 guests and a whopping 50 crew members. 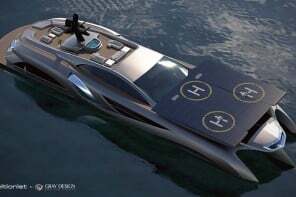 The concept was unveiled at the annual yacht show in Monaco. 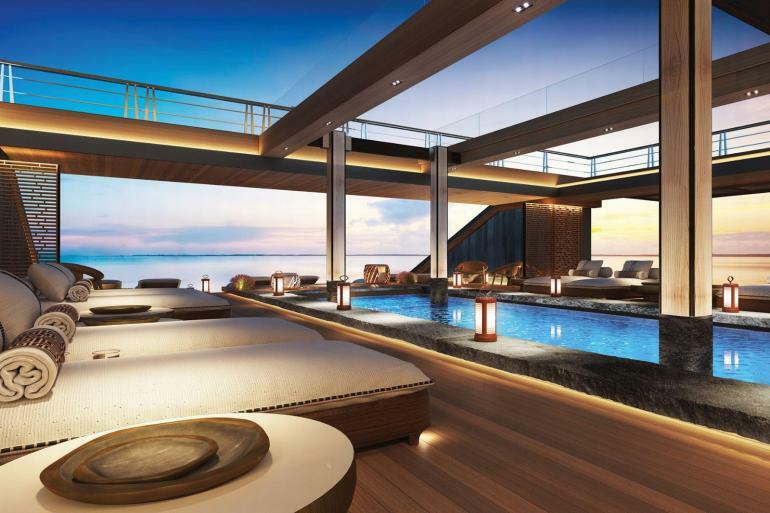 This aerial representation reveals multiple sun decks and open lounge areas where guests can get their tan on. 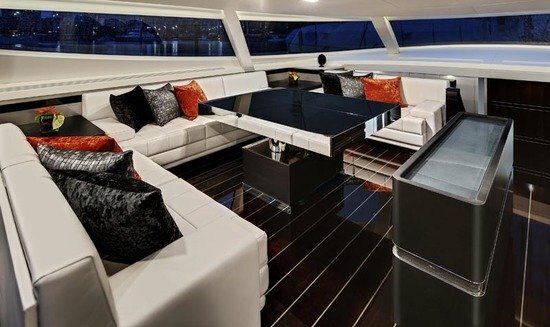 The separation of spaces means that guests on one deck can get a party going while other decks remain relatively quiet and relaxing. 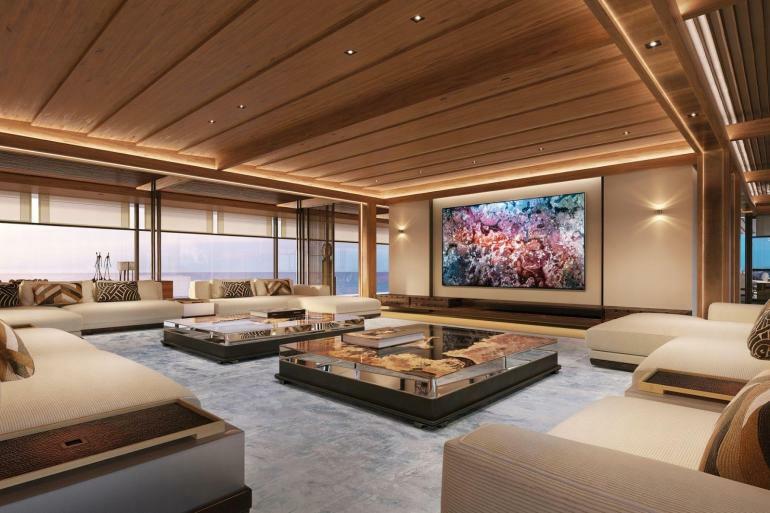 The yacht even boasts a climate controlled garden so guests can feel close to nature even on the high seas. 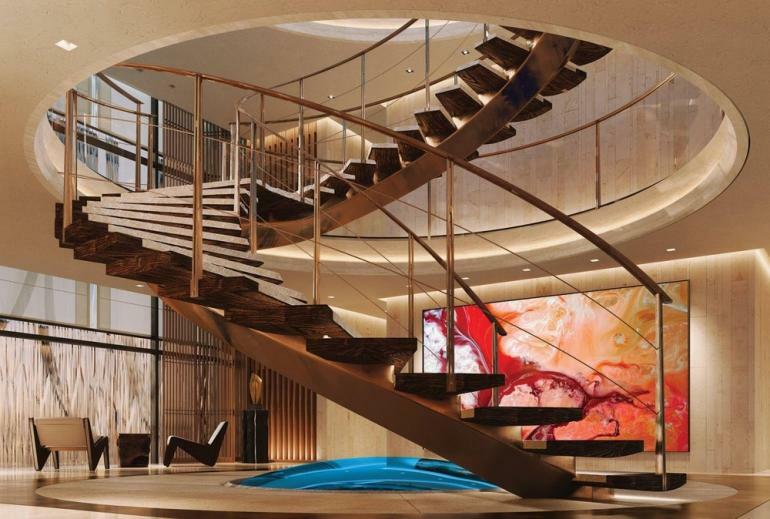 Even homes on land probably don’t have dramatic spiral staircases like this one which connects the owner’s deck up to the 900sqm+ Panorama deck. 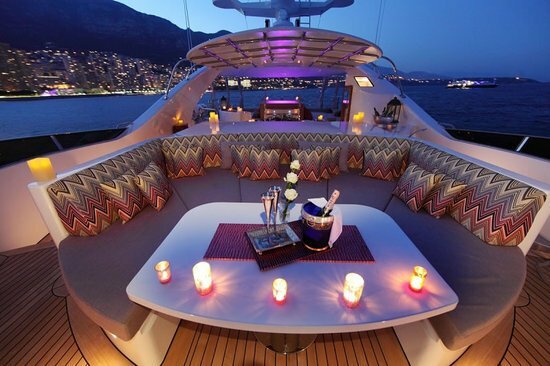 There’s no shortage of spaces for guests to get together and enjoy a drink or two. 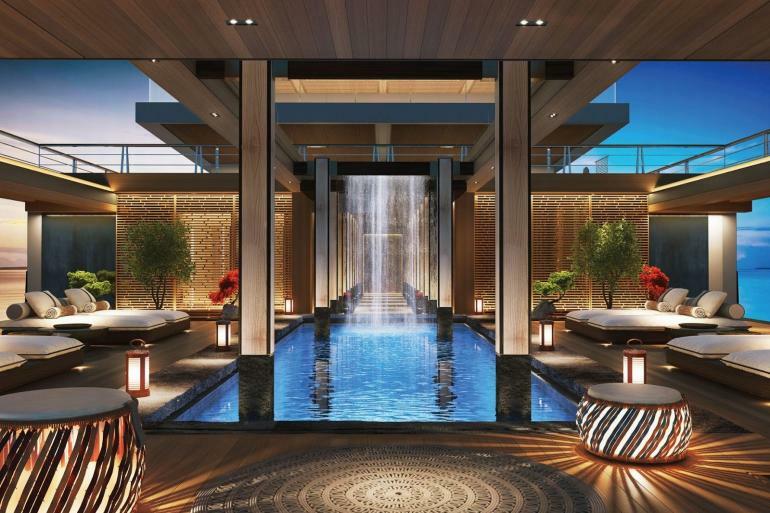 The stunning pool has its own water feature. 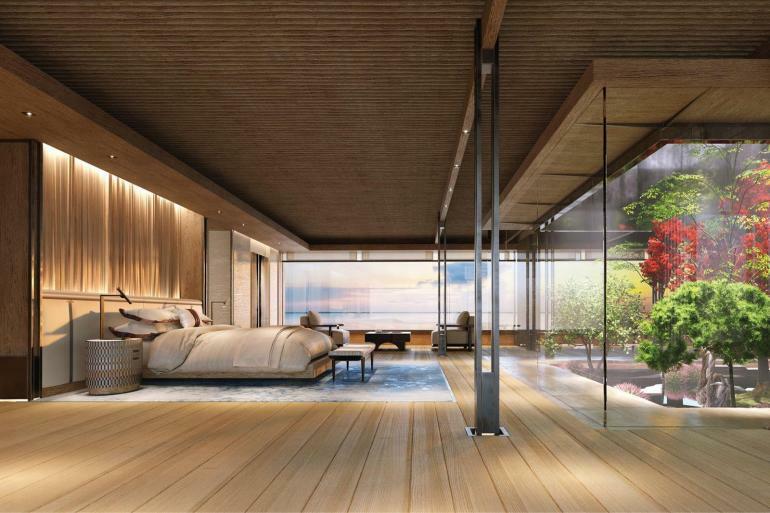 The resort feel is amplified by the lounge beds surrounding the pool. 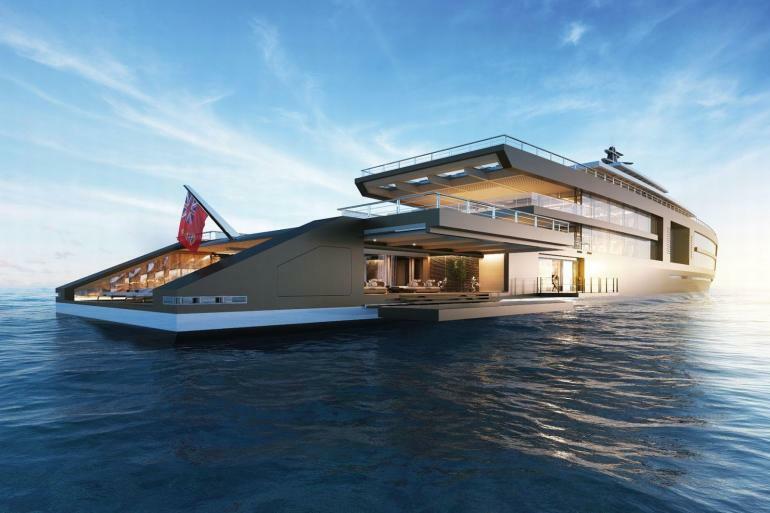 As of now, this beautiful vessel exists only as a concept. 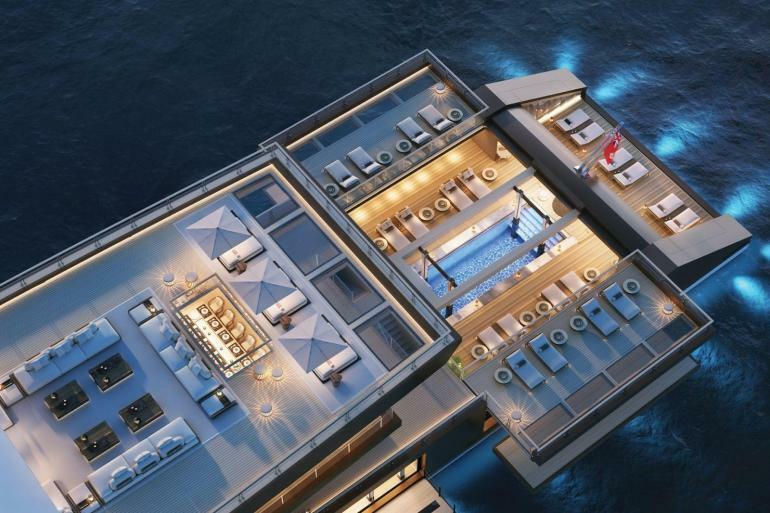 It would take a committed and deep pocketed sea lover to turn it into a reality.